Pour oil into deep fryer or large heavy skillet, filling no more than ⅓ full. Heat to 350°F on medium heat, using a cooking thermometer to maintain temperature. Mix celery salt, white pepper and batter mix together and dredge shrimp in dry mix, shake of excess and set aside. Add beer (or water) to remaining batter mix and whisk until smooth. Dip shrimp into batter, shaking off excess. Fry shrimp in batches, drop in hot oil and fry on each side until golden brown, about 2 minutes per side. Remove with slotted spoon and allow to drain on paper towels. Heat the broiler. Slice dinner rolls in half, place cut side up, on a baking sheet. Butter each half and place under broiler until lightly toasted. In a medium bowl, toss fried shrimp with buffalo wing sauce until well coated. Using a medium bowl, toss lettuce, celery, and carrots with dressing. Divide the mixture over the bottom halves of the rolls. 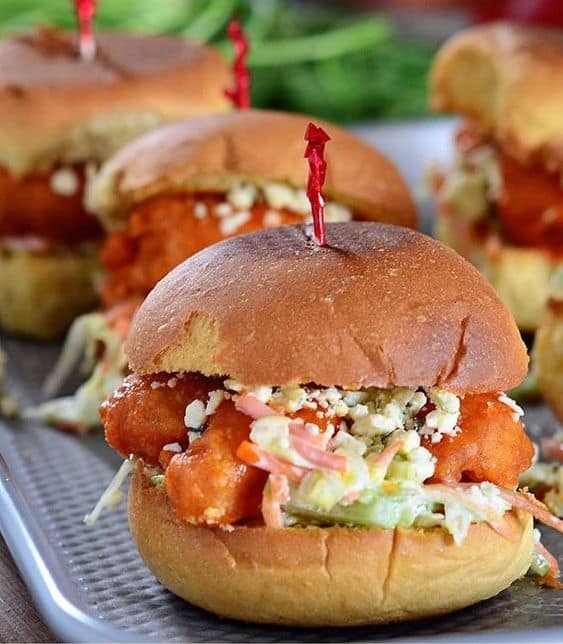 Place buffalo shrimp over lettuce mixture, sprinkle with blue-cheese crumbles, and place roll tops, toasted side down and serve immediately. 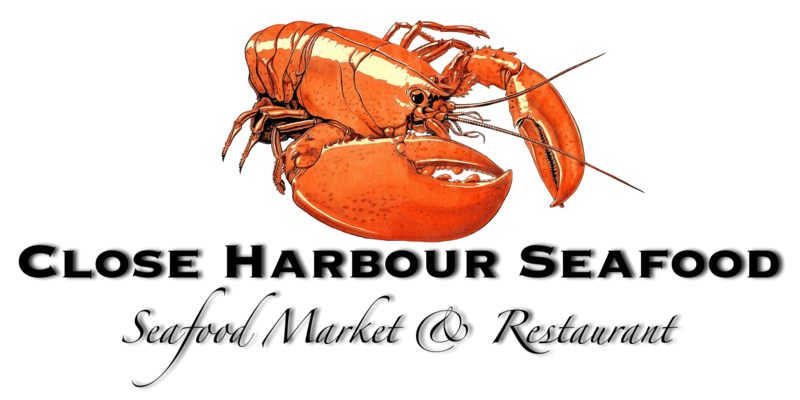 Do you want to learn about deals & special offers at Close Harbour Seafood? Fill Out the form below to join for FREE!